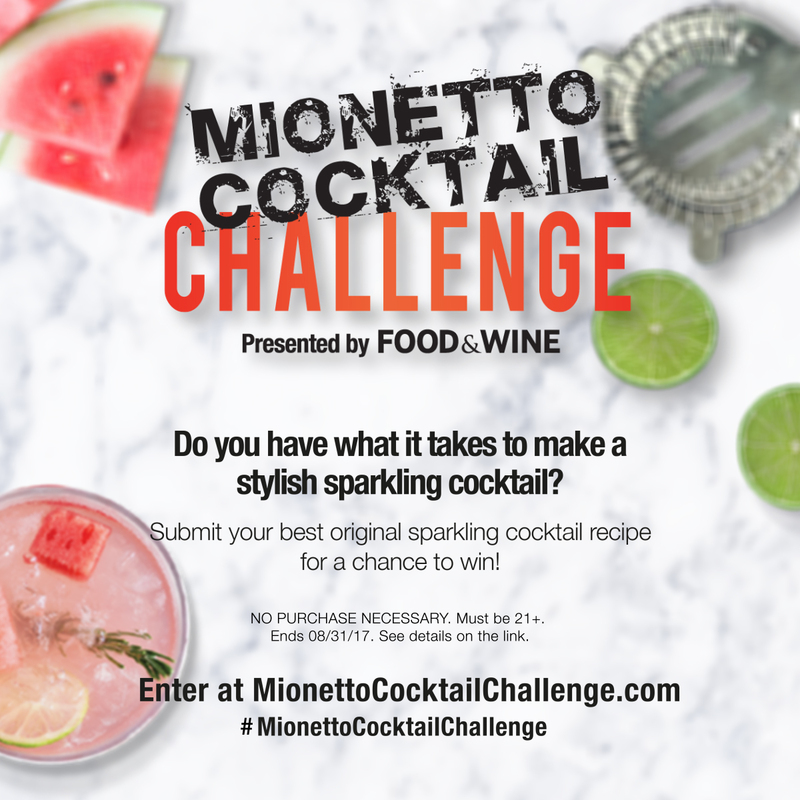 WHITE PLAINS, NY--(Marketwired - May 05, 2017) - Mionetto announces the call for submissions for the second annual 'Mionetto Cocktail Challenge.' 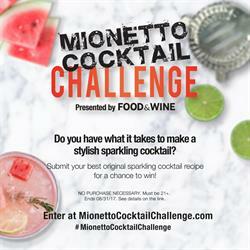 Working in partnership with Time Inc.'s Food & Wine, contestants across the country will be able to submit an original Mionetto sparkling cocktail recipe into one of two groups: bartending professionals and consumers (intended for the general public). After narrowing down the submissions, the top three finalists in each category will be invited to a special mix-off event at the Food & Wine test kitchen in New York City. The professional champion will be featured in Food & Wine and the consumer champion will receive a trip for two to Italy, to visit the land of Prosecco. Finalists will be determined by Justin Noel, top NYC-based mixologist, Food & Wine editor, and Enore Ceola, managing director and CEO of Mionetto USA. "It is a common perception that Prosecco is easily interchangeable with other sparkling wines, but this competition really shows the uniqueness and complexity that only Prosecco can bring to a cocktail," said Justin Noel. "This is a passion project of mine and I am truly honored to be involved in the search for the best Prosecco cocktail recipes from across the U.S. These contestants share our passion for Mionetto and crafting high-quality Prosecco and sparkling cocktails." The inaugural challenge in 2016 received over 600 entries, but ultimately two cocktails reigned supreme. On the consumer level, Dassy Pawlik from Buffalo, New York won with her inspired recipe, "Pompelmo Spruzzo," which took the Mionetto Prosecco Brut to another level. Meanwhile, the professional winner Patti Scarf from Kalamazoo, Michigan took a refreshing approach with the "Cucumber Fizz," pairing the flagship Mionetto Prosecco Brut with cucumber, gin, and simple syrup. Mionetto has been Italy's foremost Prosecco producer for 130 years with an established reputation for quality, tradition and innovation. The winery was founded in 1887 by Francesco Mionetto in the small village of Valdobbiadene, located just north of Venice, in the heart of the Prosecco region. Mionetto is one of the area's oldest wine producers with long-established relationships with star growers, ensuring a consistent supply of quality grapes. As a producer who bottles-to-order, Mionetto ensures the ultimate freshness and superior quality in every bottle. Mionetto has been named a 'Hot Brand' for the eighth consecutive year by Impact magazine and received the 'Growth Brand' award for the seventh consecutive year by Beverage Information Group. FOOD & WINE is the ultimate authority on the best of what's new in food, drink, travel, design and entertaining. FOOD & WINE has an extensive social media following on Facebook, Twitter, Instagram, Pinterest, Tumblr and Snapchat. FOOD & WINE includes a monthly magazine in print and digital; a website, foodandwine.com; a books division; plus newsletters, clubs, events and a restaurant partnership, Chefs Club by FOOD & WINE. FOOD & WINE is a registered trademark of Time Inc. Affluent Media Group.